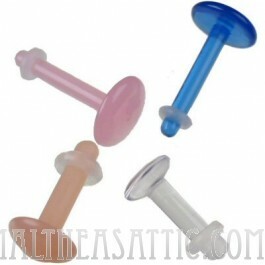 Hide your labret piercing while keeping it open with this acrylic labret retainer. 14g retainer is 5/16". With this product, you earn 2 loyalty point(s).